Classic Colonial in Woodmoor offered at an unbeatable price for one week only! This 3 bedroom, 1.5 bath home features hardwood floors throughout the main and upper level, wood burning fireplace, separate dining room, relatively updated kitchen, stainless steel appliances, small enclosed sunroom/patio off of the kitchen, replacement windows, newer furnace and washer/ dryer. A fully fenced rear yard and driveway complete this package. 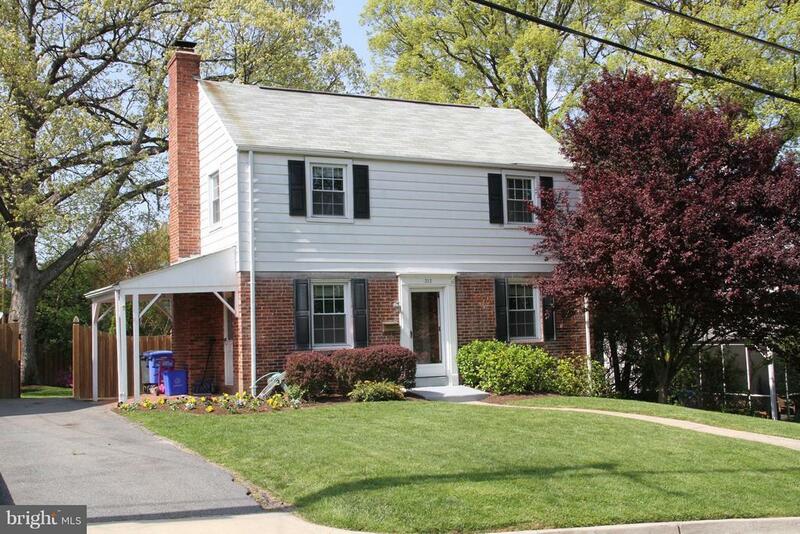 Excellent commuter location, easy access to Silver Spring, DC, Columbia, FDA. If youve been looking for a single family home below market value with the opportunity for instant equity and creating more value along the way, your search is over! Fully livable but in need of minor TLC and sold AS-IS.